The Sig Sauer 1911-22 is a large frame, semi-automatic handgun designed for self-defense, range, along with target practice shooting. 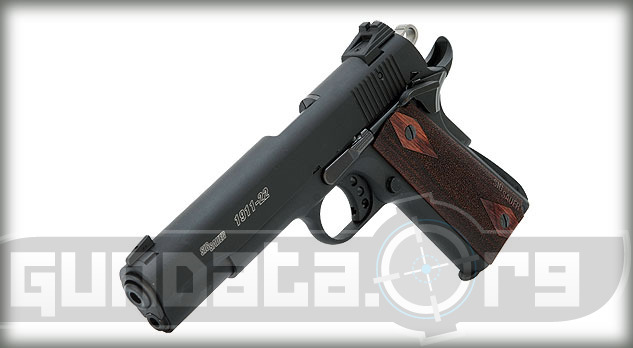 The 1911-22 has many of the same features as the 1911 classic John Browning designed, but incorporates some modern updates and fires .22LR rounds to help save money on ammunition at the firing range. It features a beavertail safety, extended ambidextrous thumb safety, and a skeletonized hammer. 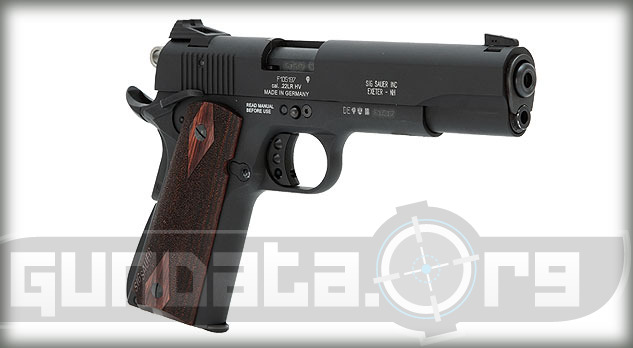 The overall length fo the 1911-22 is 8.5-inches, with a height of 5.5-inches, and a barrel length of 5-inches. The slide material is made from aluminum alloy, and features a polytetrafluoroethylene (PTFE) or teflon finish. The frame material is made from aluminum alloy, and features a polytetrafluoroethylene (PTFE) or teflon finish. 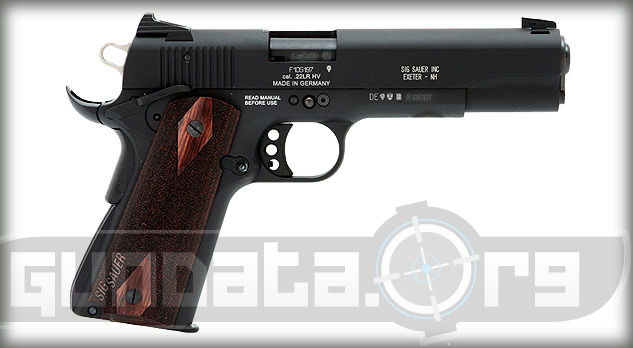 The grips are custom rose wood, and do not feature and front straps serrations or checkering. The magazine holds 10-rounds of .22LR ammuntion. The sights are contrast sights. 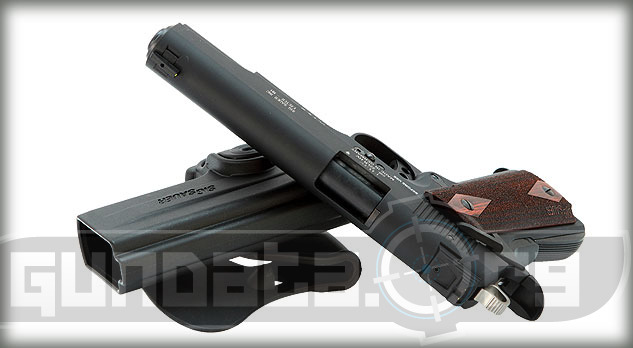 The trigger has 3 holes with a single action only pull that is approximately 5-pounds.